Software Solutions in ERP Application, Customized Software Applications, Industrial Software Application Development, Web Application Development, Websites Development, Mobile APP Development, Search Engine Optimization (SEO) and Web Hosting Solutions. In Business from Year 2000, xigox has catered more than 300 Clients by providing successful Solutions and we are proud to say that our Solutions are successfully installed at more than 30 Locations who are our indirect clients. With our own Team, we have developed Development Center in Mumbai, India. We are technically well versed with Industry Requirements and do proper analysis for the successful and reliable solutions for Clients. We have successfully developed clients in India and abroad in all these years of Business. Information Technology is a fast growing industry. 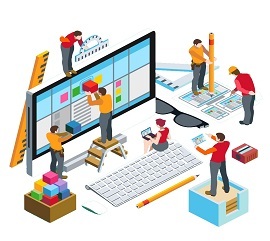 New architecture and multiplying software platforms are forcing the application development to undergo a massive sea change in existing technologies. And yet the pressure of building a robust & agile application is growing continuously. The technical skill factor has no longer remained the guarantee to primary success: collaboration, accountability, compliance, Software Development portfolio and resource management are all becoming key factors of the new Application Development Team. 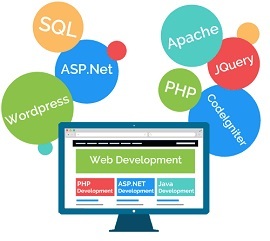 you are looking for Offshore Software Development in Mumbai, Custom Application, Custom Software Development, Software Outsourcing, Ecommerce Software Development, Shopping Cart Development, then you are at the right place.